We believe that you should be in control of your own health. You are part of a caring community of adults, peers, teachers, educators, healthcare providers, faith leaders, neighbors and family, and we support you—you matter to everyone in your community! You can use your voice, your energy, your creativity to make choices that are the best for you, and make a difference. As caring adults, we respect your freedom to make your own decisions and set your own goals. With the help of HOPE Buffalo, we will work with you to make informed decisions about your life, including supporting you in getting the resources and information you need regarding sexuality, sexual health, birth control and more. We will also make sure you have access to youth-affirming health and supportive services. This is our responsibility to you. As a community, we can do more to support and help our teens make informed decisions about their health and future. The Youth Leadership Team (YLT) is for teens ages 15 to 19 who live in Buffalo. We meet twice a month to plan and work to improve ourselves, our circumstances and the lives of other teens in our communities. The Youth Leadership Team has the largest and most important voice in the HOPE Buffalo initiative. Members bring their experiences and expertise to the larger conversation and let the Community Action Team know what teens like you need to succeed in your community. We ensure that HOPE Buffalo’s overall strategy speaks to teens effectively. We connect with youth-serving healthcare providers through a Mystery Shoppers program, in which we call healthcare providers selected by the Erie County Department of Health (ECDOH) and ensure they’re serving teens effectively. We meet with representatives from 211 WNY, a free and confidential hotline that provides health and human services support, where we discuss ideas to help callers gain more knowledge of HOPE Buffalo and to give their ideas. We are regularly featured as special guests on a variety of Entercom radio shows, where we talk about HOPE Buffalo’s mission for healthy teens. We regularly speak to audiences about HOPE Buffalo’s mission for healthy teens, and meet likeminded individuals looking to support this goal. We have partnered with WNY @ Work to create, produce, coordinate and implement multimedia campaigns in the Buffalo market that build community awareness and education about HOPE Buffalo while promoting access to comprehensive adolescent sexual reproductive health affirming services. Right now, we are working on a youth summit called the HOPE Summit: Youth Let’s Talk, that will help to select the winners of the HOPE Buffalo Innovative Grants. PATCH (Providers and Teens Communicating for Health) is an innovative, youth-driven program working to ensure all youth are able to receive high-quality, youth-friendly healthcare services.  As a member of the Buffalo community, I commit to the aspirations of the HOPE Buffalo initiative to help our teens grow into the adults they want to be. Collectively, we can build a promising future for the City of Buffalo! This publication was made possible by Grant number 6 TP1AH000106-03-01 from the HHS Office of Adolescent Health. Contents are solely the responsibility of the authors and do not necessarily represent the official views of the Department of Health and Human Services or the Office of Adolescent Health. CAI in partnership with the Erie County Department of Health received a grant from the U.S. Department of Health and Human Services Office of Adolescent Health (OAH) to focus on improving the lives and opportunities for adolescents by facilitating and resourcing a community-driven response to reduce teen pregnancy in nine selected zip codes in Buffalo. © 2017 :: CICATELLI ASSOCIATES INC.